Report: The K-Beauty craze – Are Korean Skincare Products All They’re Cracked Up to Be? The fascination with K-beauty (Korean imports of all beauty products) has been steadily gaining traction over the last few years. Korean makeup and skin care products have been taken beauty stores by storm and have been flying off shelves with rapid consistency. The phenomenon is growing traction worldwide and proving increasingly popular in western society. There are many reasons for the K-beauty phenomenon of course, including smart marketing, social media visibility, innovative packaging and the use of some rather unusual but interesting ingredients, which purportedly have anti-aging and skin enhancing properties. To help you decide whether you should join the trend or keep using your more traditional beauty products, we delve into the pros and cons of K-beauty. We take a look into how the fascination with K-beauty has developed and whether these beauty products are effective or just overhyped with the use of smart marketing, social media and packaging tactics. K-beauty has definitely taken a different angle to how to manage your beauty regime. Many Korean companies have taken to blogs, websites and Internet marketing to promote multi-step beauty regimes. These rituals include several steps, sometimes in excess of 10 steps, of cleansing, masks, moisturizing, sunscreens, serums and sleep emulsions. These multi-stepped regimens have drawn in thousands of people to try the products and their popularity has grown steadily. Maybe there’s something in human nature that makes us believe that if something requires multiple steps, it must be much better than one that is simple and straightforward. If it’s easy, it can’t possibly work, right? Many Korean companies have taken to blogs, websites and Internet marketing to promote multi-step beauty regimes. Smart marketing surrounds the products. So, the promotion of these multi-step beauty regimes has ultimately led to an influx of K-beauty products, with many people touting their efficacy. They have become readily available and recognizable on shelves, which has helped drive recognition and further sales. It is not just the Internet hype that has driven the fascination for K-beauty. Smart marketing surrounds the products. You will find most K-beauty products sporting unusual, fun packaging of animals, shapes and recognisable figures of all colors of the rainbow and equally funky and unique names to match. Social media has also played a part in the phenomenon. K-beauty companies are maximising their social media presence with viral makeup videos on YouTube and regular postings on Instagram, Twitter and Facebook accounts to their thousands of followers. Despite all these marketing efforts, I think the number one selling feature of K-beauty products are Korean women themselves. Western culture has embraced K-beauty in a big way because women want to replicate the astonishingly clean, clear complexion that is commonly associated with Korean women. When it comes to effectiveness, it seems the secret of K-beauty products lies in their claim to being technologically advanced and being composed of some rather exotic ingredients which are both natural and environmentally friendly. Many K-beauty products claim to contain “outrageous” natural ingredients like bee venom, pig collagen, snail secretion and other sea and ocean-based ingredients. They are all said to have different properties that are amazing for skincare. Bee venom is said to have anti-inflammatory properties, snail secretion is said to facilitate rapid cell rejuvenation and pig collagen reportedly has anti-aging and anti-wrinkle properties, whilst a range of ocean ingredients are promoted to firm and tauten the skin. Whether these ingredients are scientifically proven to do what they claim to do is another issue entirely. There is not much scientific evidence to back many of these claims. 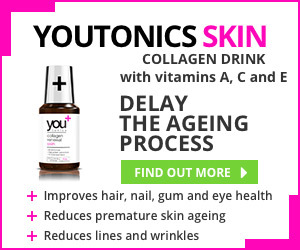 And it really is a grey area as to whether these ingredients do add value to skin care or whether they are just hype and marketing – you know, the well-worn, perennial favourite: eternal youth in a bottle. The fact, though, is that Korean beauty products have traditionally been held in high esteem as great skin care, even before the most recent craze began in Western societies. There are many advantages to using such products with frequency. Firstly, K-beauty products generally steer away from using alcohol as an ingredient in their products, which as you know, can dry out and dehydrate skin quickly. Furthermore, a multi-step beauty regime is not exclusively Korean, and they are known to be good for you, because it is easier for manufacturers to use good, clean and simple ingredients for a product if that product does not have to do too many things. If it has to do more, then it is less easy to maintain ingredient integrity. As with K-beauty products, most beauty regimes now involve a process of at least four or more steps, so the move to K-beauty regimes is not as extreme as it may appear. Although K-beauty does prescribe 10 or more steps per day for skin care, they do not need to be adhered to everyday. Instead, the range of products K-beauty offers allows you to adjust which products you use on particular days depending on how your skin is performing. On the flipside there are disadvantages to K-beauty regimes. Any beauty regime that has so many steps is going to be time-consuming. The modern woman does not have that much time in the day to focus so much on a beauty regime with several steps. From an environmental standpoint the use of animal products and animal ingredients in K-beauty is quite common, which makes many of us uncomfortable. This poses both ethical and environmental questions as to the safety and sustainability of the products used and treatment of the animals involved. What are the financial costs of a K-beauty regime? One major disadvantage of subscribing to K-beauty regimes – and one most likely to keep many people away – is that you’re likely to take a much bigger financial hit than if you stuck to the alternative. With so many products on the market and several steps involved in the K-beauty regime the costs soon add up. The total cost of starting a 10-step K-beauty regime is in the vicinity of £190- £382 ($250-$500). Depending on how religiously you apply the skincare range, this could be a monthly or bi-monthly hit to your pocket. Ouch! For those on a tight budget it can be a big decision committing to such a collection. However, the K-beauty market is making headway into the masstige market too, by making products available at lower prices for the mass market. Provided the trend picks up, K-beauty may remain the preserve of the well-heeled or the die-hard K-beauty fan who is willing to bear the cost, no matter what. At the end of the day, the decision whether to go the K-beauty route comes down to what works for you as an individual. If you like 10 step beauty care regimes and spending a little extra, then K-beauty could be the answer. Have you tried any K-beauty products and if you have, would you recommend them to others? Or do you think the K-beauty phenomenon is a result of smart marketing and promotion tactics?